Greg “Spanky” Moore picked up his first fiddle at the age of 5, and you’d have been shocked to run into him a day since without it in his hands. He instantly developed a love and respect for the fiddle and bluegrass music. Greg dedicates his success to his Grandpa Moore. His Grandpa not only taught him how to play but also introduced a young Greg to the live music genre by taking him to festivals starting when he was only one year old. It’s no wonder the bluegrass bug bit Greg Moore and bit him hard! 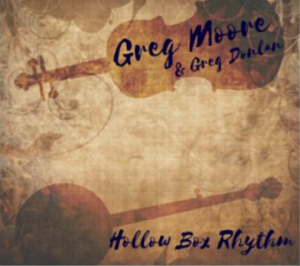 Greg has played with many highly respected bluegrass musicians and bands already. His first professional job was with Dave Evans and Riverbend at just 18 years old. He then went on to play with Junior Sisk and Ramblers Choice, the James King Band, Tony Holt and the Wildwood Boys, and Melvin Goins, to name a few. Most recently, Moore played fiddle for Remington Ryde, a band based out of Pennsylvania. Greg and his wife, Deena, whom he also calls his best friend, enjoy spending time together outdoors, fishing, with family and friends, and if you ask him he will tell you, he intends to play traditional bluegrass fiddle forever!